Blogsphere and Tourism: How to interact ? How have things changed over the past 12 months ? Tourism is certainly one of the most dynamic sectors on the web. 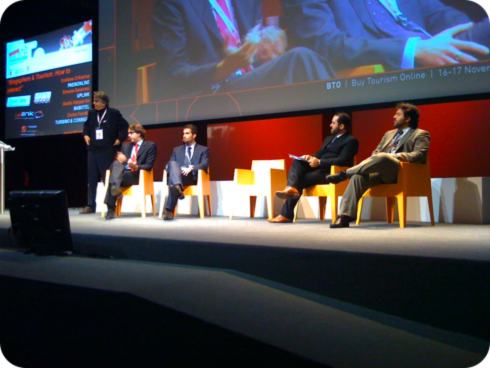 We are living a revolution and itâ€™s not a technological one – the focus is the Guest not the tools – we are experiencing a de-virtualization, the guest is now a person, no loner a digital entity, people gather in groups and talk, recommend locations and hotels, talk about their travel experiences: Social has brought word of mouth back to the center of our attention. To be or not 2 be on Facebook ? Well … donâ€™t get too worried about being there with your hotel page (and profile) … many are there (and feel they need to be there) because everybody else is – There are many examples of social media misuse: too many out there befriending strangers and then asking to become a fan the next day ? Doesnâ€™t that bother you ? It sure does bother me ? Use the Web and Social Media to bridge the gap between you and your Guests, before they check in and after they leave, offering the possibility to keep in touch from time to time. A big mistake is th look at the numbers – millions of users are not all potential users for me and my business – look at your small community with a specific focus and a drive or passion for you and your line of business.